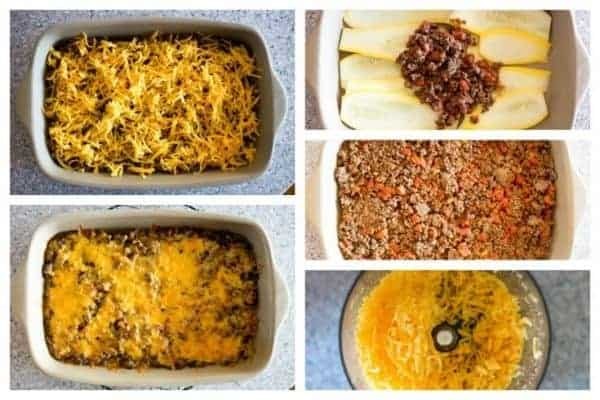 An easy taco flavored low carb yellow squash casserole that’s quick and easy to prepare. It’s a yummy way to use up a bumper crop of summer squash. Are you getting tons of yellow summer squash in your garden this year? We certainly are. My husband just pulled out another handful of summer squash from the garden today. I’ve been eating yellow squash every day since they began to ripen. 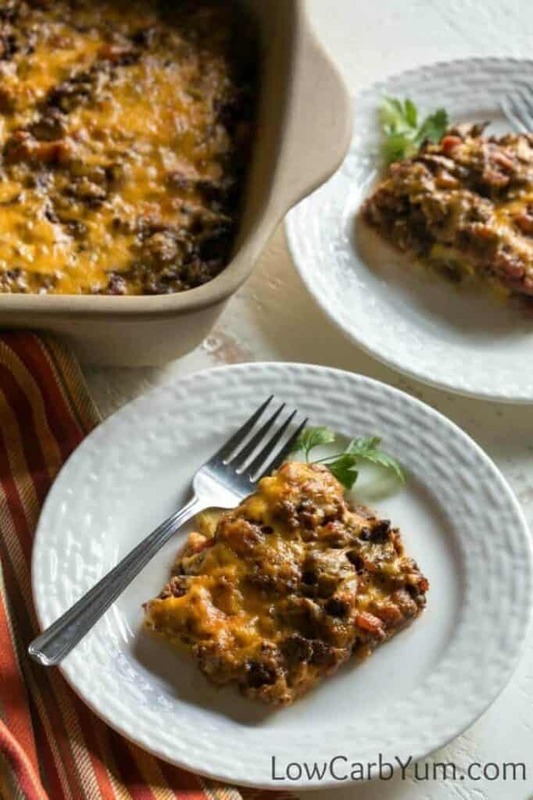 Casserole dishes are such a breeze to prepare. 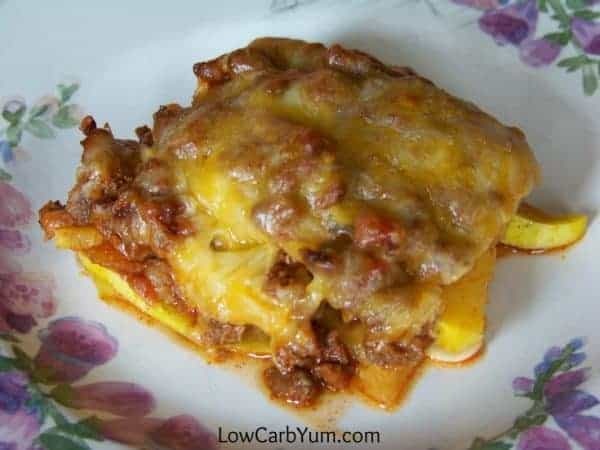 This low carb yellow squash casserole is a simple dish that can be prepared quick and easy. It only took about 10 minutes to prepare and 25 minutes to bake. I made it right after coming home from work. 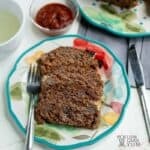 This is definitely a recipe to keep on hand for busy weeknights! 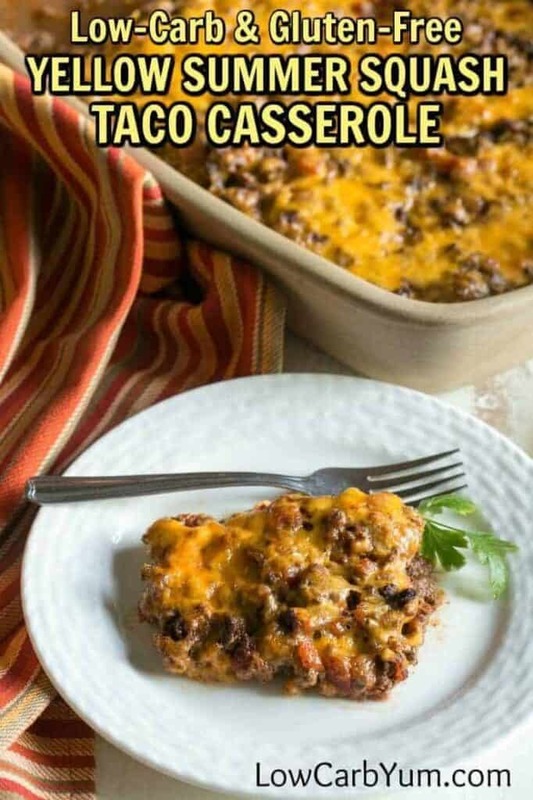 Most taco casserole recipes use tortillas. Although there are low carb ones, I can’t find any that are gluten free. And, I don’t always have the time to make my own. 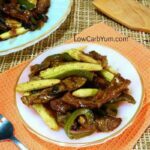 A lot of people use zucchini in place of noodles. So, I thought why not use yellow squash in place of tortillas. Sounds reasonable, right? Turns out, it was a great idea! 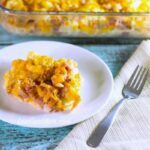 This low carb yellow squash casserole is a winner. I’m putting in down as a regular on my low carb menu. You will have to cook up the meat first. Some people keep browned ground beef in the freezer, but I usually don’t. While the meat is cooking, I slice up the squash. I also freshly grate my cheese for this low carb yellow squash casserole in a food processor. You can use pre-shredded cheese if you prefer. However, you should keep in mind that it contains unnecessary carbs. Check the ingredients on the shredded cheese package. Starch is usually added as an anti-caking agent so the cheese pieces don’t stick together. 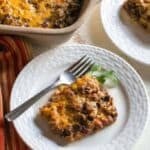 Although this is named a low carb yellow squash casserole, you don’t have to use this particular vegetable. Zucchini would work just as well. The same thing goes for the cheese. I used cheddar because I usually have some in the refrigerator. But, a Mexican cheese blend could be used instead. 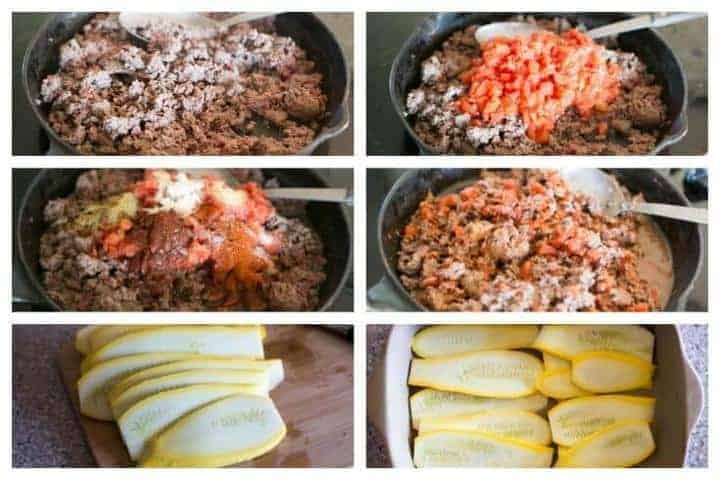 If you liked this recipe, you may want to check out my taco stuffed peppers and yellow squash recipe. It’s another tasty way to use up those summer garden vegetables! 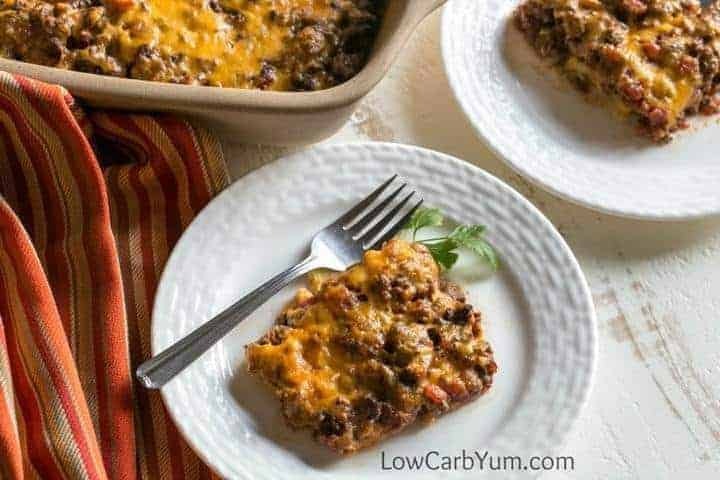 This low carb taco casserole is an easy dish to use up a bumper crop of summer squash. 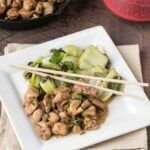 This is a simple dish that can be prepared quick and easy. Add canned tomato and seasonings to cooked meat and simmer for about 5 minutes. Place the sliced squash at the bottom of a 9×13 inch baking pan. Place meat mixture on top of squash, sprinkle grated cheese on top. Bake in preheated oven for about 25 minutes.